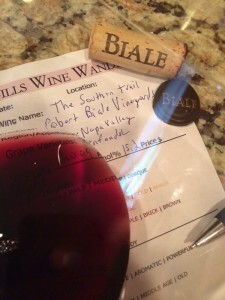 The label of the 2009 Robert Biale Vineyards, The Southern Trail Zinfandel states that the historic Silverado Trail runs the length of the Napa Valley. In the most southern section, the cooler climate produces profound Zinfandel with dark fruit and lush textures. This made me think of all of the times that Chris and I have traveled the Silverado Trail. 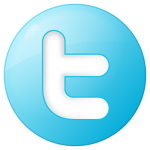 It is the best and fastest way getting to and from places in the valley. When most people travel to Napa, they typically stay on highway 29; which is the main road. Its an extremely busy road in the morning while heading north; and at the end of the day the southern route is just as busy. I understand why people use 29 because the road is literally full of wineries on both sides of the road once you pass through Yountville; and all of the way north through Calistoga. If you frequent Napa a lot, you most likely know that there are another options getting to your favorite place. If traffic is heavy when we first enter the south side of Nape, I will drive through town by taking highway 221. As you pass the Napa Hospital the road turns into highway 121. Stay on 121 until you leave town. At Trancas, which is a three way stop, take a left and then the first right onto Silverado Trail. The Silverado Trail has less traffic and many world renown wineries including Pine Ridge, Stags Leap, Shafer, Joseph Phelps, and more. Driving on the Silverado Trail is very scenic but be aware that most days there are people riding their bicycles. Another thing to be aware of is the speed limit, because if you are not careful its easy to speed. I generally set the cruise control to be safe. Deep color depth and a ruby hue. Very aromatic, young-fruity. I could smell spice, smoke, black cherry, and dark fruit. The Zinfandel was not dry. It was full-bodied and the acidity was balanced with rich mid-palate flavors with a medium length finish. punched down three times per day. Pressed to Burgundian oak – 20% new. Aged 14 months. 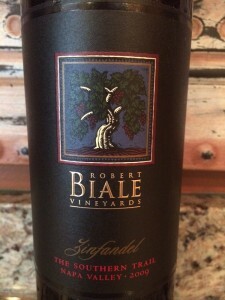 I rated the 2009 Robert Biale Vineyards The Southern Trail Zinfandel Three glasses.